On 29 August 2016, officers with the Oxford Police Department responded to an armed robbery at Molly Barr Trails. The three suspects met up with the victims over a possible narcotics purchase. At which time the 3 suspects robbed the victims at gun point. The suspect vehicle along with a description of the males was provided to officers and shortly after the initial call the suspect vehicle was spotted and three suspects were taking into custody. The firearm used during the robbery, items belonging to the victims(cellphones, watch and narcotics), and bandannas worn by the suspects were present inside the vehicle. All 3 have been charged with armed robbery and given a bond of $25,000. On Monday, August 29, 2016 investigators of the Oxford Police Department charged Daniel Charles Ford (20) of Oxford, MS with one count of Strong Armed Robbery. On Sunday, August 28, 2016 Ford robbed a man at Oxford Wheel Estates. The victim was working at his house in the complex when Ford approached him, grabbed his sunglasses off his head and then shoved him to the ground as he ran away. The victim then called 911, gave a description of the suspect and patrol officers headed to the area. They spotted Ford, who then ran when he saw the officers. A short foot chase ensued and patrol was able to get Ford in custody. Ford was booked and his bond was set at $2,500.00. 15 Code Violations. These reports are generated as complaints from neighbors in the South 14th, 16th and 18th Street. Residents are leaving cars parked all in the yards and leaving garbage cans out at the road. We are trying to educate the residents on behavioral expectations and their roles as good neighbors. 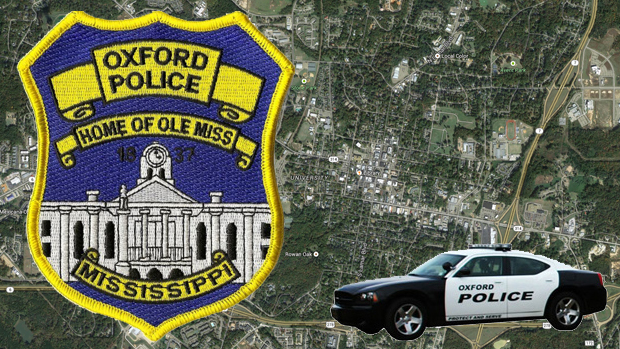 On March 28th Officers of the Oxford Police Department took a report of a credit card fraud that had already occurred. The victim stated that her credit cards had been used at several locations in Oxford, MS. On March 31st the suspects had been identified as Brandon Roberson and Bryanna Hyde. On April 4th warrants were issued for Roberson and Hyde for Credit Card Fraud. On April 5th Roberson and Hyde were located and arrested in Lee County. It was found that Roberson and Hyde had committed similar crimes in several other jurisdictions around the state. A hold was placed on Roberson and Hyde for Oxford PD. On 08/11/2016 Oxford PD was advised that Roberson was ready to be transported to Oxford. Hyde was still being held for Lee County. Roberson was picked up and transported to the Lafayette County Detention Center. A $1,500 bond was set. On Monday August 15, 2016, Oxford Investigators arrested Bobby Barnes 41, of Grenada. This was a result of a trailer being stolen from Oxford on August 1st 2016. After conducting an investigation the information that was discovered led to Mr. Barnes arrest. At this time the trailer has not been recovered. Bond was set at $10,000.00. On Tuesday, August 09, 2016 Investigators of the Oxford Police Department served an arrest warrant on Mr. Alexander Dunn (21) of Greenwood, MS for Malicious Mischief (97-17-67). On June 18, 2016 Dunn caused damage to an automobile while he was on the Oxford Square. Dunn was identified by a witness who saw him jump up and down on the vehicle causing almost $3,000 worth of damage. Dunn was booked for Malicious Mischief (97-17-67) and his bond was set at $2,500.00. On Sunday July 31st at approximately 0007 Officers were approached by a male who stated to them that two black males attempted to rob him at gun point. The victim told officers that he was walking on Van Buren headed West when two black males grabbed him and pulled him into an alley. One of the black males held the victim while the other pointed a weapon at him. They demanded the victim give them whatever he had but the victim jerked away and ran. One of our officers was nearby on a traffic stop and the victim notified the officer of what happened. A search of the area was done but officers did not locate any suspects. Detectives were called and the case has been turned over to them. There were no injuries and no property was taken.